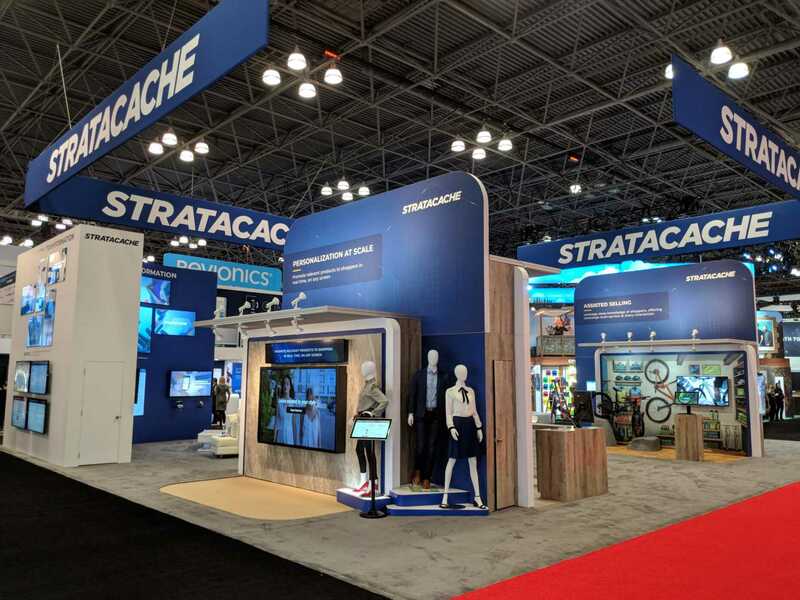 Rogers teams with Stratacache at NRF - The Rogers Co.
Rogers kicked off the New Year with an amazing new 50x60 exhibit for STRATACACHE at the National Retail Federation (NRF) in NYC. After countless hours of collaboration between Rogers and STRATACACHE, this exhibit came to life! The designed included several interactive vignettes including an automated cocktail bar and a VR theater. 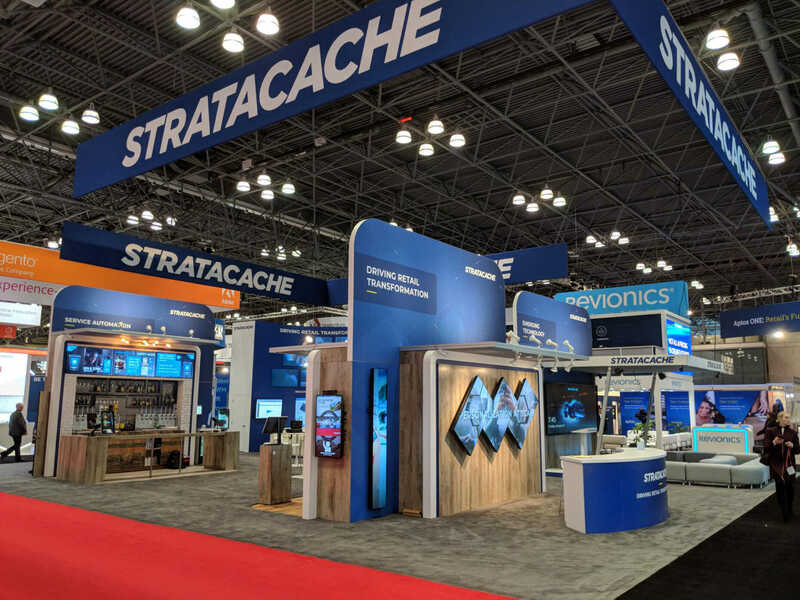 STRATACACHE, is the leading provider of intelligent digital signage, digital merchandising, mobile enablement, and rich media customer engagement at retail. These solutions help influence customers at the point-of-decision, generating new sales opportunities and enhanced retail profitability.